I was seven years old as I watched hometown heroes Seton Hall face off against Michigan for the 1989 NCAA Division I Basketball Championship game in Seattle, Washington. I was fixated at the TV screen as I watched MY Seton Hall Pirates fight for their first National Championship in program history. On that late evening, I learned that desperate times sometimes result in poorly executed measures. With seconds left, Seton Hall’s Daryll Walker took an off balance, risky and potentially game-winning buzzer-beating shot that never found the basket. That small heartbreak was my first taste of the exhilarating, frustrating, and maddening experiences that can happen during March Madness. Ever since that day in 1989, I’ve became been a fan of basketball statistics and Seton Hall University. I graduated from Seton Hall in 2004. How did March Madness Start? 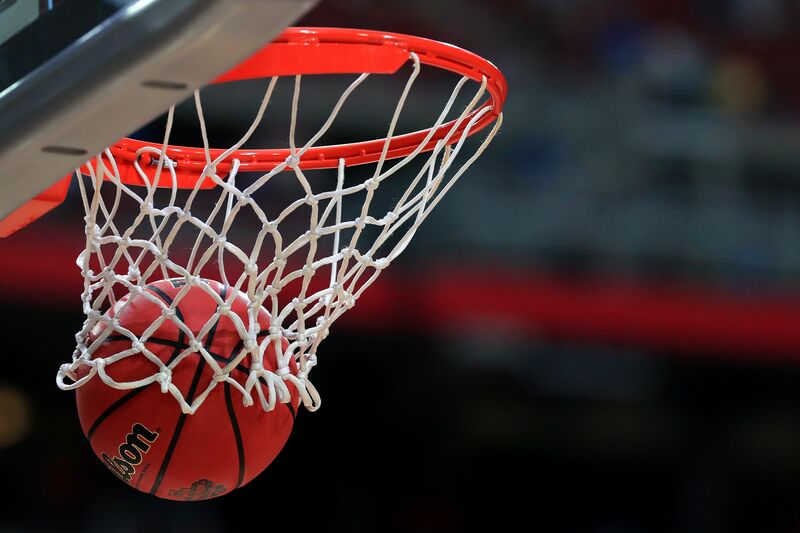 The term March Madness traces its history back to the Illinois High School Association (IHSA) and their annual statewide high-school basketball tournament that started in 1908. In 1939, Henry Porter, an official with the Illinois High School Association, penned an article called “March Madness” for the organization’s in-house magazine. Fifty years later, the Illinois High School Association applied to trademark “March Madness”. However, in 1996, the NCAA contended that it had a common-law trademark on the phrase and was thus allowed to license it at will. After litigation, the two sides ultimately agreed to form the March Madness Athletic Association, a joint holding company. The IHSA controls the March Madness name on the high-school level, while the NCAA has a perpetual license to use the phrase in connection with its (much larger) collegiate tournament. “Selection Sunday,” which determines what teams will play in the NCAA Division I Men’s college basketball tournament, also marks the beginning of major sports wagering among some fans. Last year, those betting on March Madness spent an estimated $262.9 million legally in Nevada casinos alone, according to Michael Lawton, a senior research analyst at the Nevada Gaming Control Board. Although there are variables involved with filling out the perfect bracket, having a good look at certain statistics for each team will allow anyone to become a basic forensic bracketologist and rank highly in office pools year after year. My knowledge base was gained from my years working in college athletics & recreation, some smart friends who are obsessed with math, and too many hours spent pouring over game data and looking for trends. In addition to seasonal research, it typically takes me about 4 hours to fill out my March Madness bracket each year. We are in the midst of home renovations and with baby #3 on the way, I simply don’t have free time. With that in mind, I’ve decided to share a few things I look for when creating my brackets each year to give you an edge in your office pool. Most of the information shared will force you to do your own research, but here’s one solid tidbit – #8 Seton Hall could make a deep run this year. If the Pirates can stay healthy and out of foul trouble in their game against NC State on March 15th, they have the potential to take out #1 seed Kansas Jayhawks in the second round and bust many brackets in the process. Here’s why – The Jayhawks are plain horrible in offensive rebounds. Out of 350 teams, they rank #295 in offensive rebounds! With Seton Hall boasting one of the best offensive rebounders in the tournament (and nation) with senior Angel Delgado, offensive rebounds can turn into points. Points win games. Since 1985, when the tournament went to 64 teams, only seven champions have shot less than 70% at the free throw line. However, no winner has shot better than 77%. Almost 80 percent of upsets are by 10, 11, or 12 seeds. 27 percent of those upsets are by 12 seeds alone. In 1985, the Villanova Wildcats was ranked as a #8 seed men’s basketball team and took home the Division I Men’s NCAA Championship. It was lowest seed ever to do so — this includes the men’s or women’s tournament. Since 1985, an average of 4.45 teams seeded No. 11 or worse have advanced to the round of 32 and an average of 1.69 teams seeded No. 13 or worse have won in the first round. Only in 1995 has a team seeded No. 7 or worse not made the Sweet 16. Human sleep and wake cycles follow a daily cycle. It’s this cycle that regulates our body temperature, blood pressure, alertness, and metabolism, among other physiological functions. In general, these rhythms conform to our 24-hour day and may be reset based on environmental cues (like a practice schedule). This is one of my favorite areas to explore. I look closely at the times/time zones of past games and compare them to their winning percentage and specific player stats. If possible, I also try to find out what times the teams practice during the season. This can give insight on their “peak performance” times and show patterns that can predict performance for certain games. Research shows that the optimal time to exercise is when our body temperature is at its highest, which, for most people is 4 p.m. to 5 p.m. (body temperature is at its lowest just before waking). This is when you’ll often find the highest scores in games. The University of Texas also reported that strength output is 5% higher at around mid-day; anaerobic performance, such as sprinting, improves by 5% in the late afternoon. You’ll often see more games go into OT during this times. That’s all I’m willing for share for now. Good Luck with your brackets and Go Pirates!